Fathers: they get one day out of the year where we all agree to honor and respect them, and then they make it difficult by being notoriously tough to shop for. Dads usually have an uncanny knack for needing very little, and acquiring whatever it is as soon as they do need it. That’s just one of the things we love about them. As a company founded by three generations of Henderson men, we completely understand. That’s why we’ve put together a list of gifts that bourbon-loving dads will appreciate. Cigars are a perfect accompaniment for enjoying a lingering glass of Angel’s Envy, and a great way to relax at the end of the day. In particular, we’re fans of the Aviator Series from Principle Cigars. They’re everything a good cigar should be: small production, exceptional ingredients, with a complex, medium bodied dynamic that intensifies as you smoke it. With a rich sweetness and just a touch of crispness, acidity and citrus, they pair perfectly with Angel’s Envy. Hendrik Kelner, who uses a complex blend of tobacco from around the world, produces them in The Dominican Republic. And best of all, they’re available online right here. We like the outdoors. We also like flasks. They’re a natural fit. So if your father is any kind of outdoorsman, don’t you want him to be able to enjoy Angel’s Envy by the lake or sitting with friends around a campfire? Of course you do. After all, you love and appreciate your father, right? 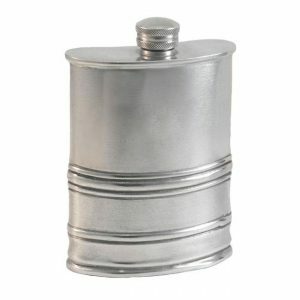 He’d probably love this beautiful flask (we know that we would). If you’re father is a serious whiskey fan, then he’s probably interested in learning more about it. One of the best ways to help him expand his spirit understanding is by studying scents. 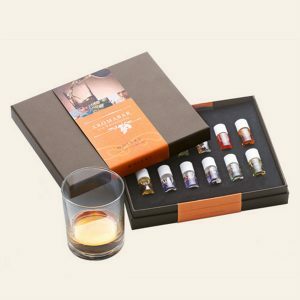 A scent kit helps you break down a whiskey’s flavor into the original components, teaching you to recognize and understand what you’re tasting. And they can be a lot of fun to play around with. Decanters signify a touch of distinction from a lost age. Once upon a time, powerful men often invited guests to join them in a couple of fingers of excellent whiskey decanted into a fine glass. It’s the perfect type of gift that dad would never buy for himself, but would probably appreciate having on display. We particularly liked this set. 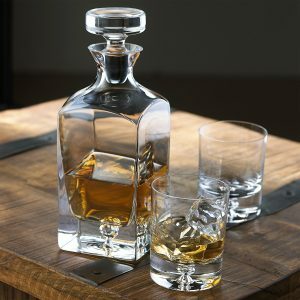 Cigars, flasks and decanters are all well and good, but you need the perfect whiskey to enjoy them with. 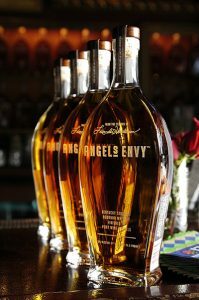 Finished in port barrels for a flavor unlike any other bourbon, Angel’s Envy is the right whiskey for dad this Father’s Day, and the best gift for both of you to enjoy together. After all, the only thing better than telling your dad in person how much he means to you, is doing it over a couple of glasses of Angel’s Envy.